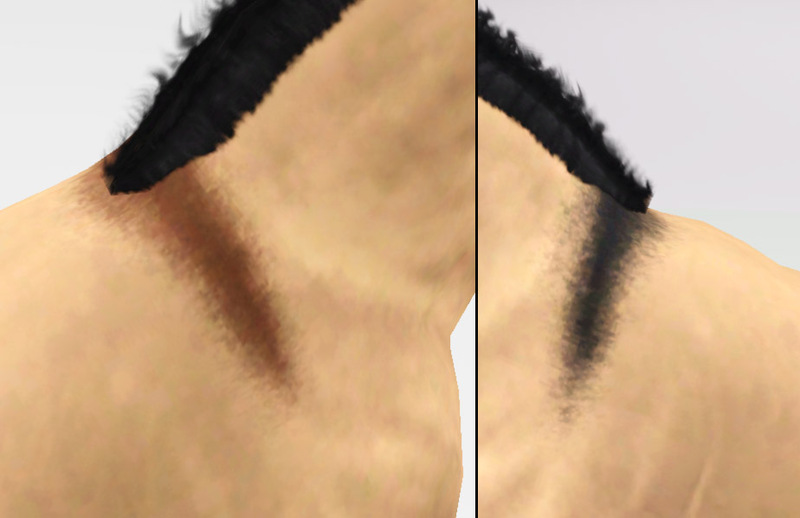 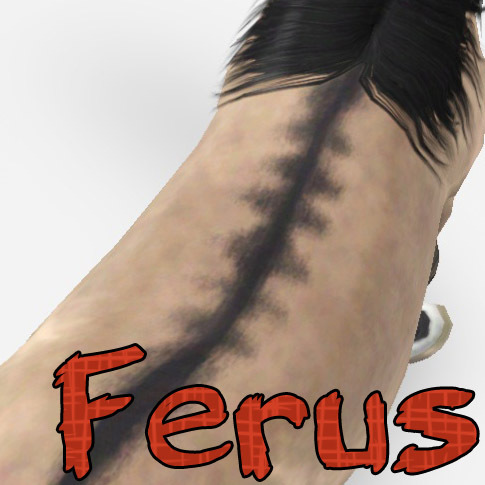 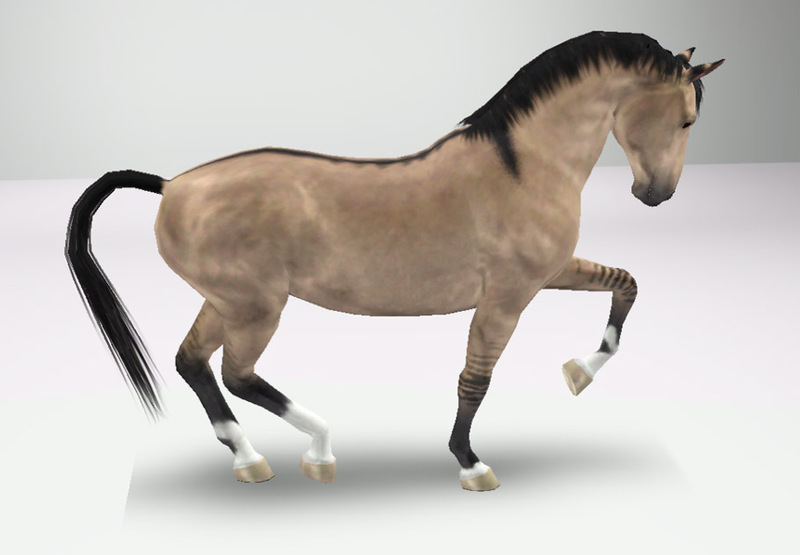 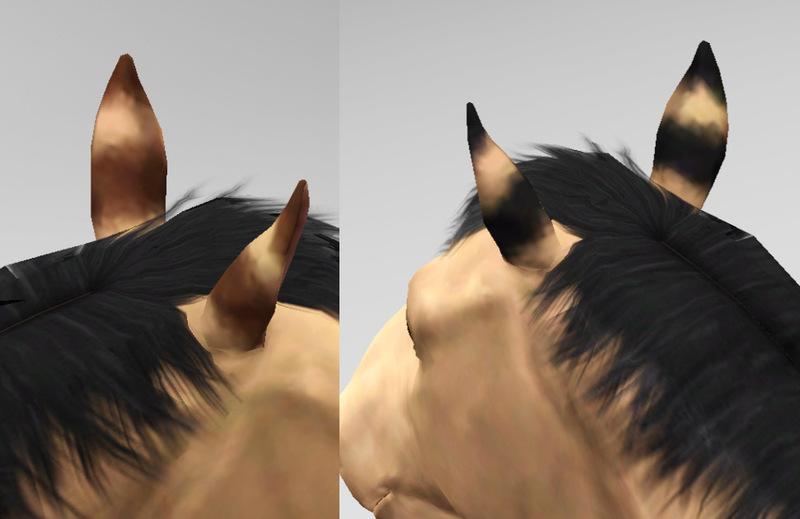 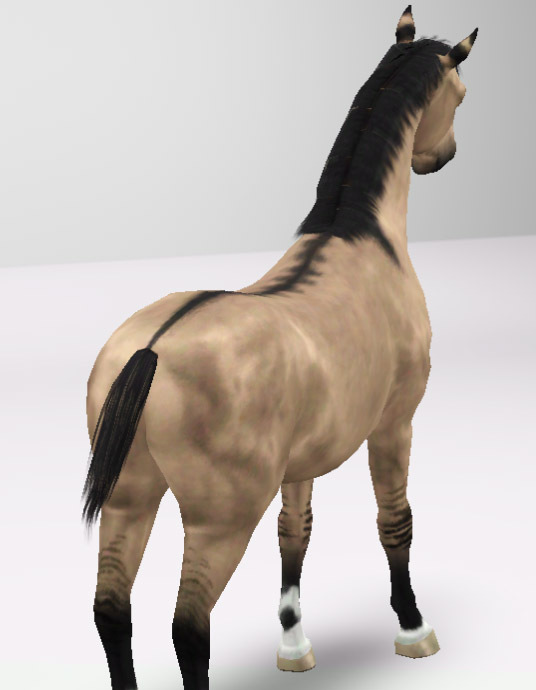 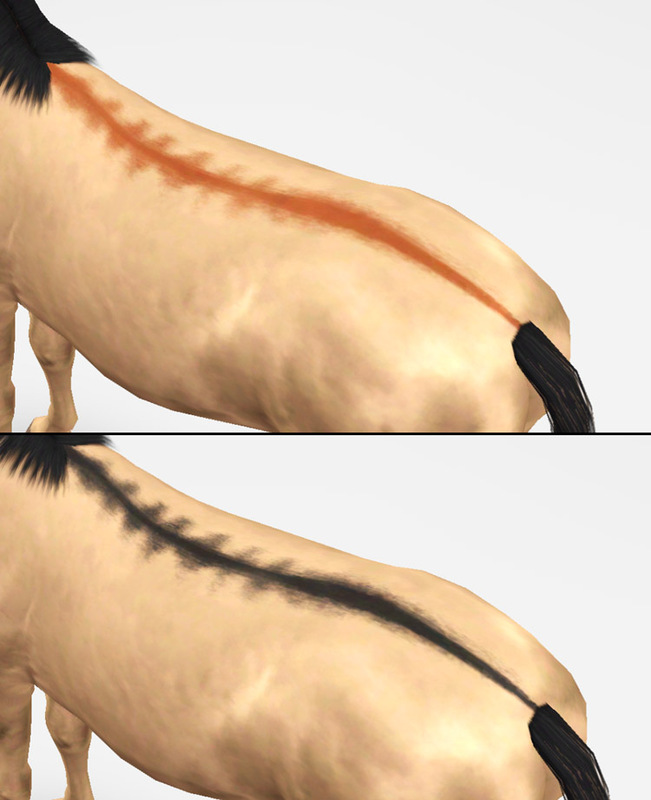 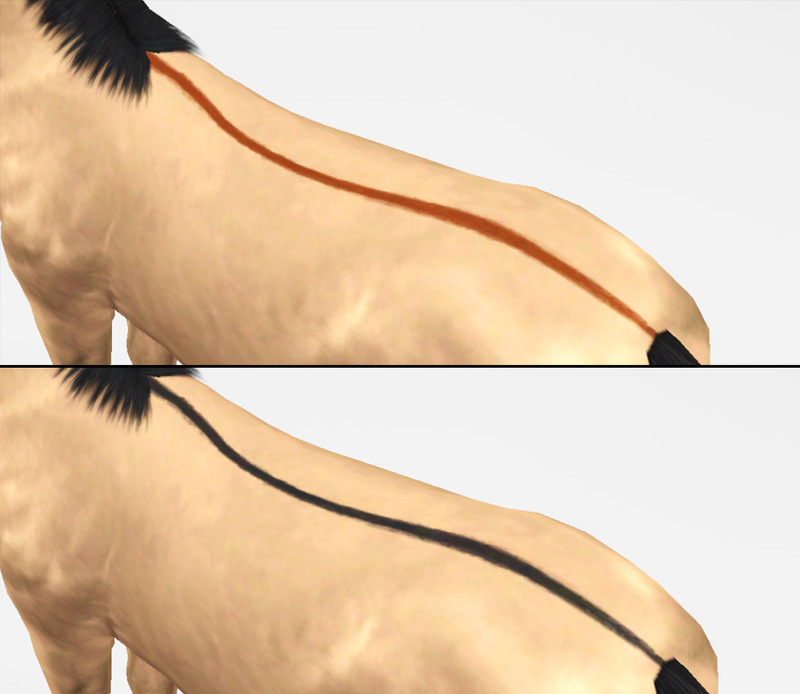 Once again I am trying to fill in the missing pieces that EA left out of horse markings, this time I bring you a set of regional markings for designing dun and buckskin horses. 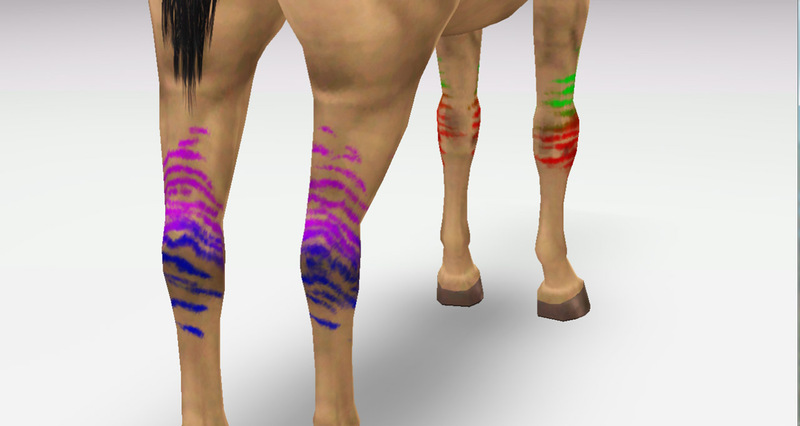 The set features 5 unique regional markings. 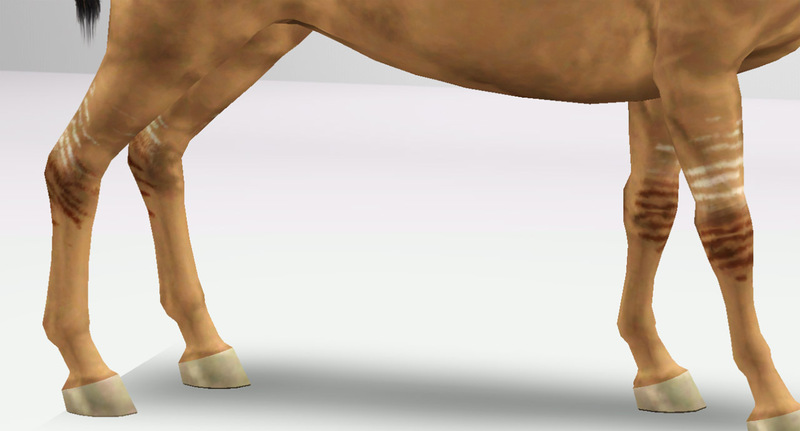 These regions are enabled for horses only, and they all feature 1 recolourable channel except for the leg bars, which has 4 recolourable channels.